Kyoto Animation’s reputation for highly-praised production quality, featuring fluid animation and gorgeously detailed backgrounds, is in grave danger. Recent reports have surfaced that backgrounds in several recent Kyoto Animation shows may have been photographs manipulated to look like animation. 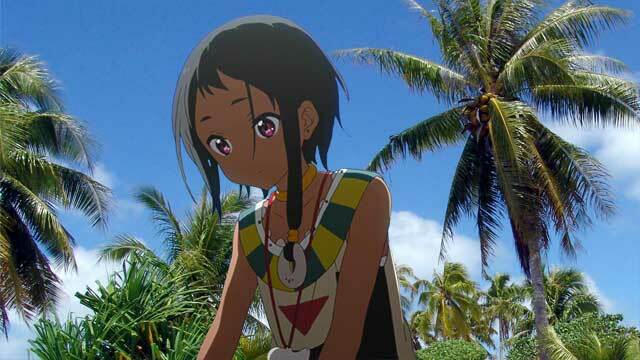 According to an former Kyoto Animation employee who wished to remain anonymous, animators would take pictures or find various scenes in nature magazines and Photoshop them to look like they were hand drawn. “People seem to think we drew those extravagant locales ourselves and the company has been content to maintain that falsehood”, the former employee claims. “Of course we don’t actually draw them! Do you realize how much time and energy that would take? We just Photoshop the characters into slightly modified photos and call it a day. Not like those PA Works bastards… where do they get off putting all that actual work into their backgrounds!”. With the release of their latest film, Tamako Love Story, some fans have begun to catch onto the phenomenon. “Huh… ya’know these backgrounds look so real… that the characters seem kind of out-of-place…”, one confused fan stated. “Yeah… almost like they were… edited in somehow…”, another concurred. “This charade has run its course. I quit because I couldn’t handle the deception anymore, and now the secret is coming out… oh and while I’m here, let me tell you that Haruhi Season 3 is never happening… so stop asking already”, our informant added. So essentially KyoAni got their hands on the NiJiMe aka “Reverse Oculus Rift” and made screenshots.